Bankers who understand your business. You’ve built something great. We can find the right partner to realize its potential. Buyers are busy. Your business is complex. We position your company to find the right buyers who can invest in and grow what you started. You still need to run your business. We run the M&A process efficiently and engage buyers directly, so you only meet with qualified buyers. M&A requires insight and determination. We have a track record of success with strategic buyers, cross border deals, and complex transactions. We operate from the center of the technology world and serve clients and buyers around the globe. We started with a simple insight from our operating and corporate buy-side experience: technology companies do not often get the advice and insight they deserve to achieve optimal exits. Typical investment banks run a heavy, "one-size-fits-all” process that focuses on selling financials. But many companies have technology, people, and products to offer, not large scale P&L's. We provide a different breed of investment banking service. One that uses our insight and connections to identify the right buyers and to emphasize opportunity, technology, and talent with a streamlined process to produce rapid results. A couple of our portfolio companies had evolved their businesses with the uptake of the cloud. Palmarés understood this market evolution and helped us position and market these companies appropriately. In the process, they identified new categories of buyers who could really leverage the technology from these companies, and we achieved successful exits as a result. Palmarés really understood our product and the market opportunity. After quickly engaging the right buyers, they were able to articulate synergy plans for our early stage product. The result was multiple bidders with an outcome that far exceeded our expectations. I have used investment bankers in the past, and I did not feel like they made the effort to deeply understand my business. That required me to participate in every meeting which was a big productivity impact. Palmarés was really able to capture and represent the value of our business, and they handled all the early meetings for me so I could stay focused on revenue growth. Softvision is a global software development company, but our financial systems and executive team had not kept pace with the growth of the business. We brought Palmarés in to help us review strategic options including private equity partners/buyers, and they also brought in the right people to get us ready for a full audit and quality of earnings review. They were amazing in the way they brought everything together, and I highly recommend them. Palmarés principals are registered, licensed investment bankers who focus purely on providing sell-side strategic advisory services to technology companies. We run a structured process to identify corporate and private equity buyers and investors, close deals, and maximize value. We are San Francisco bay area based serving clients and buyers globally. Half our deals have involved cross-border transactions. We serve companies broadly in technology with a focus on Cloud Services, Enterprise Software, and Communications. We have a track record of success. We can help you add your name to the list of successful transactions. 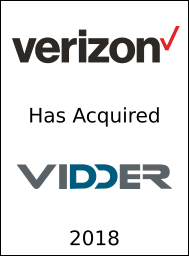 Principals of Palmarés advised Vidder on their sale to Verizon. 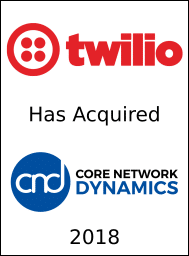 Principals of Palmarés advised CND on their sale to Twilio. Securities work performed by Burch and Company. 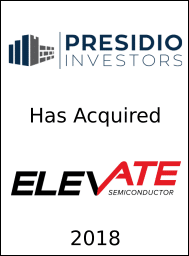 Principals of Palmarés advised Elevate on their sale to Presidio. 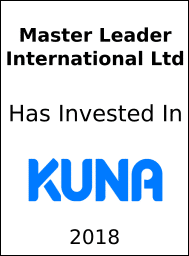 Principals of Palmarés advised Kuna on their investment by Master Leader. 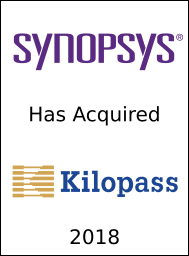 Principals of Palmarés advised Kilopass on their sale to Synopsys. 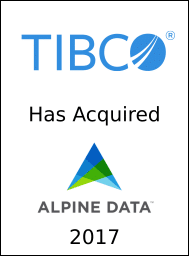 Principals of Palmarés advised Alpine Data on their sale to Tibco. 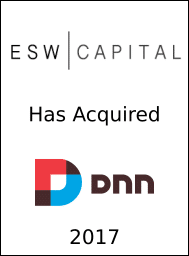 Principals of Palmarés advised DNN on their sale to ESW Capital. 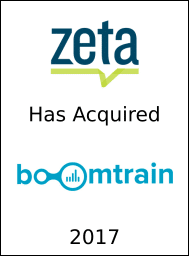 Principals of Palmarés advised Boomtrain on their sale to Zeta Global. 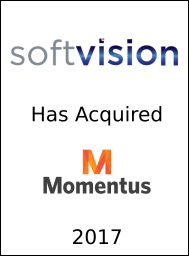 Principals of Palmarés advised Momentus on their sale to Softvision. 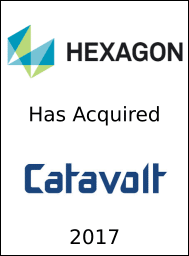 Principals of Palmarés advised Catavolt on their sale to Hexagon. 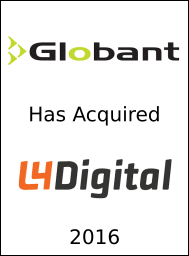 Principals of Palmarés advised L4 Digital on their sale to Globant. 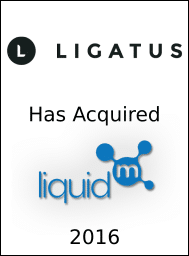 Principals of Palmarés advised LiquidM on their sale to Ligatus. Principals of Palmarés advised Softvision on their merger with SPI, sponsored by Tower Arch Capital. Securities work done by Burch & Co. 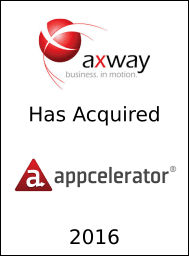 Principals of Palmarés advised Appcelerator on their sale to Axway. 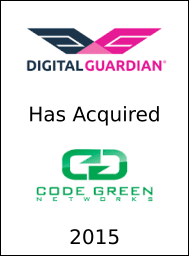 Principals of Palmarés advised Code Green Networks on their sale to Digital Guardian. 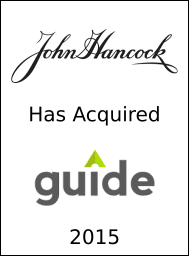 Principals of Palmarés advised Guide Financial on their sale to John Hancock/Manulife. Clyde Foster is the founder and a Managing Director at Palmarés Advisors. He is a seasoned executive and board member in the mobile and software industries with over 25 years of leadership experience. Clyde was previously the COO of Intellisync, a NASDAQ listed company, and oversaw the operations and sales of Intellisync’s products to leading enterprises, OEMs, and wireless operators. Clyde led the sale of Intellisync to Nokia for $470M and went on to serve as the Vice President of Messaging at Nokia. Prior to Intellisync, Clyde was the president, CEO, and founder of eConvergent Inc, a leading developer of next generation customer data integration software. His enterprise background includes leadership at Aspect Communication and 14 years at IBM where he held a variety of sales and marketing management positions. He has a Bachelor of Science in Math from North Carolina State University. Clyde is a Series 79 and Series 62 & 63 registered investment-banking representative. Woody Hobbs is a Managing Director at Palmarés Advisors, an advisor to early-stage companies, and an expert at scaling companies. Woody also serves as a board member of Opolis, Inc. and Firepoint Solutions, Inc. Opolis is a new and disruptive marketplace for the recruiting and staffing industry. Firepoint is the fastest growing marketing and client management system for the residential real estate marketplace. Woody has led over fifteen buy and sell side M&A transactions. He has also led funding of venture capital, private equity, public equity, public debt and PIPE transactions. Woody is a seasoned executive in technology and technology-enabled industries with over 30 years of leadership experience. Woody was previously the CEO of Intellisync and Phoenix, both NASDAQ listed companies. Woody was a director and the first CIO of Charles Schwab and has been an interim CEO and CEO advisor for the venture community for about a dozen startups. Woody is a Series 79 and Series 63 registered investment-banking representative. Andy Kelm is a Managing Director at Palmarés Advisors with over 20 years of product, corporate development and general management experience in wireless, mobility, and cloud services. As a General Manager at Amazon Web Services, Andy built and ran several businesses in the Mobile and IoT cloud services segment and helped to identify and acquire several companies. Prior to Amazon, Andy worked at Nokia as a corporate development and operations executive leading the acquisition of Avvenu, Oz Communications, and Novarra. Andy led the Novarra team and launched the Nokia Xpress mobile web service growing the team to 250 people while growing the user base to more than 100 million active users. Prior to Nokia, Andy worked in product management and engineering roles in software and semiconductor companies including Nokia Networks/RoofTop Communications, S3, Exponential Technology, and Intel. Andy holds a BS in Electrical and Computer Engineering from the University of Wisconsin-Madison and an MBA from the University of California-Berkeley. Andy is a registered Series 79 and Series 63 investment-banking representative. Ken Rousseau is a Managing Director with over 20 years of executive experience in the software and semiconductor industries. Starting off in the aerospace industry, Ken has had a variety of product development and executive roles ranging from individual technical contributor to engineering fellow on the technology side, and management roles from first-level manager to president on the executive side. Most recently, he led product development for a $100M+ product at Synopsys, a leading EDA vendor, delivering 6 consecutive years of revenue growth across the last major recession. During his operating career, Ken worked on multiple acquisition cases across several domains. Ken has a B.S. degree in Physics & Literature from the California Institute of Technology, and a Ph.D. in semiconductor physics from UCLA. Ken is a registered Series 79 and Series 63 investment-banking representative. Korak Mitra is a Managing Director with over 25 years of executive experience in the mobile and software industries, including Vice President roles at Nokia, Intellisync, YellowPages.com, AirFlash, Netscape, and Hewlett Packard. At Intellisync, Korak started and managed the wireless operator sales teams, rapidly growing wireless operator revenues, and leading to Nokia purchasing Intellisync for $470M. While at Nokia, Korak managed the EMEA sales teams which continued to drive Nokia’s messaging software into a large number of EMEA operators. Prior to Intellisync, Korak served as the Vice President of Business Development at YellowPages.com, a leading independent online yellow page provider, which was purchased by AT&T. Prior to YellowPages.com, Korak served as the COO at Airflash, a leading early location based services provider. While at AirFlash, Korak won and deployed location services at several European operators, and then led the sale of AirFlash to a competitor. Prior to AirFlash, while at Netscape, Korak managed and built a wireless operator focused messaging server business generating $100M annually, which was then delivered to Sun Microsystems as part of the acquisition of Netscape by AOL. Prior to Netscape, Korak’s enterprise experience includes a variety of roles in product management and general management at Hewlett Packard in the enterprise server business. Korak has a Bachelor of Science in Engineering from the California Institute of Technology and an MBA from Northwestern University. Korak is a registered Series 79 and Series 63 investment-banking representative. Mark Anderson is a Managing Director at Palmarés Advisors and brings over 20 years of experience both as a large company executive and start-up Founder/CEO in Consumer, Mobile, Digital Media and Enterprise market segments. Most recently, Mark was co-founder and CEO of Speak Music, a voice powered AI company. Prior to Speak Music, Mark was CEO of HipLogic where he led the company through its exit to Zynga, and then subsequently grew Mobile Ad revenue at Zynga by almost 20x in one year. Prior to HipLogic/Zynga, Mark was SVP of Corporate and Business Development at Snap One where he successfully integrated 4 target companies and grew revenue 10x. Prior to his start-up experience, Mark was VP of Enterprise at Ericsson where he worked with top executives from Apple, Google and YouTube in the early days of mobile internet services. Mark’s earlier career was in Sales leadership at Polycom, Glu Mobile and Vialto/Cisco. Mark holds a BA in Advertising from SJSU and completed Executive programs in International Business and Leadership at UCLA and Duke University. © 2019 Palmarés Advisors, LLC All rights reserved. Securities offered through Burch & Company, Inc., member FINRA/SiPC. Burch and Palmarés are not affiliated entities.